Writers achieving ‘overnight success’ usually have back stories telling of failed novels, lost competitions and mounds of rejection slips, illustrating years of hard work and perseverance. Drawing on their personal experiences, they recommend entering competitions and submitting articles to many publications. Decades ago, this was not the advice my teenage self wanted to hear because that’s not what I wanted to write. Inevitably, what little I did write had no merit. In my late teens I shot home movies on my Dad’s ancient cine camera and recorded comedic ‘radio plays’ on cassette tape, for which I wrote the scripts. A personal memoir of long-distance charity treks followed and was the first substantial work I ever finished, bashed out painstakingly on my Mum’s portable typewriter. A proud moment but it proved nothing more than I could stick at it. Rejection of scripts submitted to the BBC made me consider joining a close friend in his amateur dramatics company but a fear of performing live stopped me graduating from home movies. However, writing offered entry into the world of stage and screen that held both of us enthralled so we collaborated, me writing and him script-doctoring. We emerged with a play script about the morality of war and a screenplay about Richard the Lionheart, earning polite nods from directors but nothing more. I knew I had to learn more about the craft so I completed script and novel writing correspondence courses with Writing Magazine, the results of which illustrated how far I still had to go. Fast forward a few years to a time-slip children’s story about pirates and lost parents which earned encouraging words from agents. Good but still not good enough. 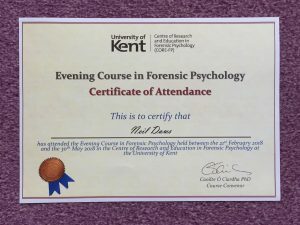 I enrolled at City Lit college in London for a weekend of radio comedy writing then a sitcom course. Whilst hugely enlightening, they reinforced my desire to write books for adults so I tried out a long-held idea for a spy novel. More nibbles, no bites. At least I’d got the James Bond homage out of my system and learnt a lot about how to deal with research. 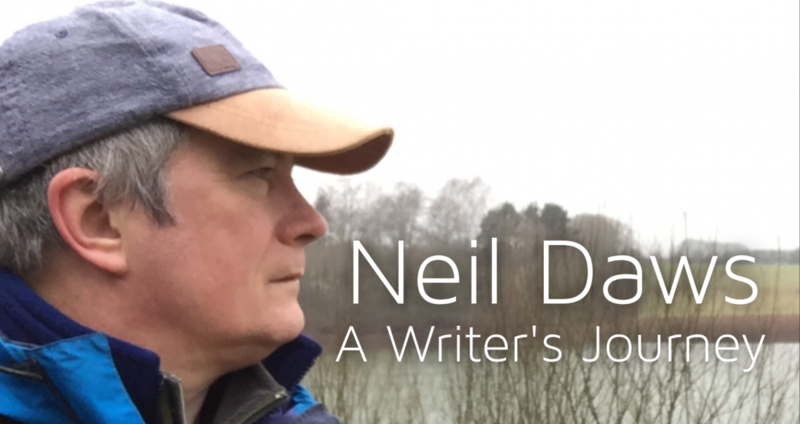 The last two years have been spent at literary festivals in Harrogate, Bristol, Winchester and locally, mixing with fellow scribblers and best-sellers, attending lectures and participating in creative workshops. A dozen competition entries and my latest Work In Progress have resulted. 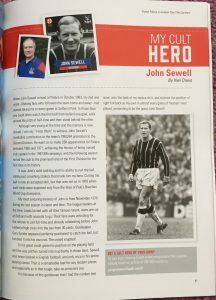 Only recently, my first ever published article appeared in the Crystal Palace v Leicester football programme, and I completed a Forensic Psychology course, adding to my ‘write about what you know’ experiences. Writing professionally involves grafting and everyone has to do their apprenticeship. Successful authors have spent years in the making and, looking back, I see my own path littered with unsuccessful projects and competition entries, creative writing certificates and rejection slips. Inadvertently, I’ve been following the sage advice I discarded all those years ago so I’m confident that one day my time will come and I’ll be that overnight success.